Lazarus, mai sistur the Zombie Kitten, just did hur furst photo shoot. It took lots uv treats and a can uv food, but she almost got it rite. Heer she iz wearing a Shamrock Dress we iz selling at Etsy. As you can sees, she iz still trying to bites things. No Dissipline. No Dissipline at all. Sigh. But she pulls off dat dress. I usually doez the modeling but I didn't want to put on clothez today and the primates don't force me. In which Loki recommends fostering a Recession Pet, talks about hiz internet presence, and gives advice to Laz on proper licking techniques in the previously posted Hai Koo form. This cake wuz in vogue (in style, not in da magazine) in the mid 1990s. I founds this pikture uv Luna posing next to the cake so I decided 2 post the ressipe. Furst, get a small cat box oar litter pan. A NOO ONE! Sheesh. Box uv vanilla wafer cookies, in crumb form. Use hammur oar rolling pin oar food processor, but not teeth. The crumbs gets too wet that way. Green oar blue food coloring. Enuf cake to fill the pan. So bakes two 9 x 13 cakes and let cool. 2 cups uv instant or canned vanilla pudding, prepared. Big container uv whipped topping. BIG! Bag uv mini Tootsie Roll candiez, warm. Put a third uv the cookie crumbs in a bowl. Mix colored water into the bowl uv crumbs quickly, coloring az much as possible az evenly as possible. A fork wurks best, maybe, if you no has clawz. Set aside. Can nap nao if you iz tired. Cut the cakes so you can fit the pieces together in the catbox. Um, put the pieces uv cakes in the cat box, fitted togethur. You can eat the leftover pieces if you wants nao. Take a nap. If U wants. Spred the puddings on top uv the cakes evenly. Lick spoon cleen. Iz OK to nap nao, too. Cleening iz hard wurk! Get a big spoon oar spatoola and plop the whipped topping on top uv the cakes unevenly. Mash togethur so covurz the cakes, but leave lumpy. Lick spoon cleen. And tub whipped topping came in if you can fits UR hed in dere. Mix cleen crumbs wif blue crumbs evenly and sprinkle ovur whipped toppingz evenly until gone. I means, unwrap teh Tootsie Rollz. Put them on a plate and microwave no moar than 10 seconds at a time. You needz to make them pliable but not melted. Just warm enuf so they iz like clay. Wash UR pawz. Twice. Three times if you walks on them. Stick warm Tootsie Rollz togethur end to end and twist and mold until they looks like litturbox leavings. See pikture if you no understands this. Bury sum of the Tootsie Roll catbox leavings in the toppings, otherz leav out all the way. Make sure one iz draped ovur the edge fur greater reelizm. Refrijerate befoar surving. Surve wif a pooper scooper. A NOO ONE! If you makes this and brings it to UR workplace, iz very unlikely aneeone will taste it befoar it iz surved. They might even make U eats sum furst, so makes sure you gets the best piece. Growl if u has to. You catch moar fliez wif honey than wif vinegar. Why doez they want fliez, and moar importantly, wat doez they do wif them once they iz catched and covered in honey? I nevur seez the hoomanz nom them. Heer iz Flickr version fur downloads. I thinks I iz becoming a pack aminal, like the hoomanz. Cats iz supposed to "Walk Alone" az they say. Catster and later Twitter has changed this. We has cats and puppies and hoomans all talking to each other all the time, nao, and the cats has embraced being part of the pack as if it wuz natural to us. Mebbe it is, actually. Lions has prides, so does we, nao. There iz a huge, HUGE pride uv Tweeting cats at Cats Who Twitter, conceiveded and put into practice bai Oscar the Cat (click to follows him). Sum uv us tweet in LOL dialect, but most iz in English oar bilingual so hoomans shud haves no trouble understanding us. Anyhoo, Fui and Suey is in the Pride and gaves us a blog mention a few times this last week. I sends them a copy uv mai book. I links to the post heer. They has noo kittens all the time there if you likes piktures uv kittens. Hoo doesn't? Also, I hads a stranger hooman link to mai Etsy shop, which iz exciting. Ovur at Glitzed, Angela, whoz cat iz Analog, wuz looking at Etsy fur "basement" and founded mai basement cat Animini (befoar I changed to bettur pikturez)! Iz nice meeting noo hoomanz and kittehs wif random searchez. 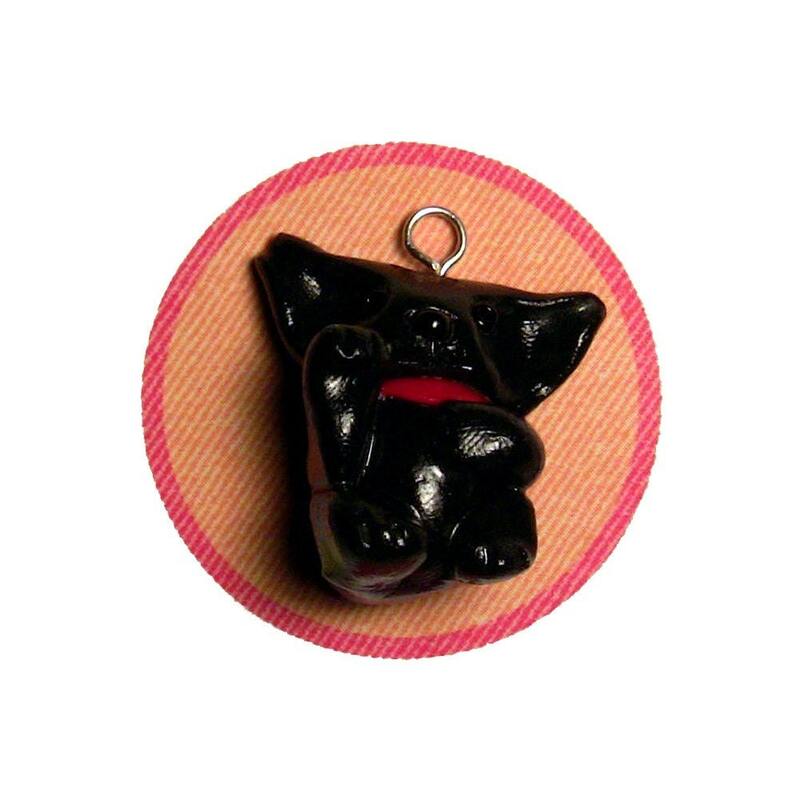 But I think Analog looks nice and much moar like the lucky black Maneki Neko Animini wif the red collar. Also cuz Analog doesn't look evil. Not in a bad way, anyhao. But look at teh Pride Basement Cat haz. Basement cat haz too much uv the menacing kind uv Pride. I likes mine bettur. Orangino is a 10 year old orange kitty in NYC whose pawrents couldn't afford him. He iz a Recession Pet. He iz in danger uv euthanasia and has only one day to find a home. I iz linking the entire post to Skeezix's post about him so you can click anywhere to get there. ***UPDATE*** Ilse sez "As of an hour ago, Orangino was settled safely into his foster home and they love him ;-)" Whoohoo! But he still needz a furever home. Stay of execution is good, though! Another Loki who iz also orange noticed there were no orange Lokis in the noo shop. I didn't expect anyone to buys anything so fast, reely, so I wuz unprepared. Then I messed up the Paypal shippings, then I changed mai passwurd and spellded it rong (stoopid paws). But nao iz all wurking ok. Whew! I didn't try and charge anyone fur the shipping calcualtion mistakes. Was not many peoples. But I sold 5 thingses already! Today I put up sum Lokis (orange), Maydays (chocolate brown), Smores (brown calico), and Bears (black). I has no Tipsies (points like Siamese), Furballs (white and silver), Lunas (Black and silver), Boos (grey) or Lazes (Tuxedo) up there yet. I decided to puts them up bai eye color, too, so hoomanz can pick cats like cats they kno. Mostly I iz helping take picturez. Code 1 meanz no armz, code 2 iz any Animini wif armz, no matter what they iz holding. Code 3 I iz working on happycats. Puppiez soon, too. "V" iz foar Valentine design. "B" iz foar "Bear" and iz a black kitteh. "L" iz foar "Loki" and iz an orange kitteh. "M" iz foar "Mayday" and iz a chocolate kitteh. (Not reely, just color uv chocolate." "BC" iz Basement cat, and haz red eyez. "B" iz cobalt blue eyez. "1" iz furs design of that kitteh or puppeh. I iz back. And I haz nooz. If you followz me on Twitter you already knows this stuff, prolly. Mai primates iz getting lade off. Both uv them. One iz home all the time now already, the other, they won't tells hur until the day she goes. Sometime in the next three months. They has assured me they has stashed enuff monies away fur kibbles. No worriez. And they iz better off than lots uv hoomanz cuz even though they isn't rich, they has no debt besides the mortgage that they just refinanced at reely low rate. So we iz tightening belts but we shud be OK. Prolly I won't be getting any fancy-schmancy Petco toyz fur awhile, but I iz purrfectly happy wif a cotton swab or bell in a sock so iz OK. I iz taking down the links to mai Myspace and Facebook. I never uses them so iz false advertising making peoples think I will be there when I won't. Iz too much work. I iz putting up a link to mai Etsy, though. Mai hooman usually makes silver but iz doing Animinis instead. They iz $2 to $5 and about an inch high, and you can has as many as u want shipped fur the same price. I know, iz suspishious having etsy shop and layoff announcement in the same post. If you buys them, buy because they iz cheap and cute and makes you happy, not cuz you feelz sorry fur the primates. Mai hoomans don't expect to makes a living frum etsy, iz just something we has meant to do fur months and just got around to nao. Moar kittehs there soon, not just Valentine kittehs.